high quality elastic in the Orthopedic and Surgical markets. The strong technology support and customized design,fastest delivery are our speciality. 6 Reasons Why You Should Choose AmdWebbing. 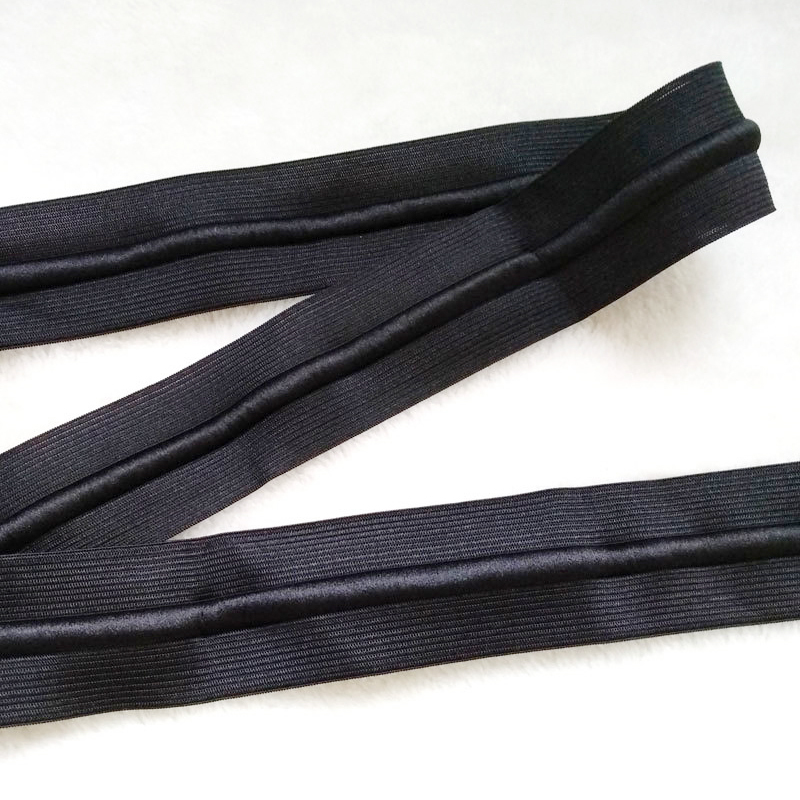 Focusing on narrow webbing and elastic band,we are the most professional manufacturer. Excellence quality of narrow fabrics and webbings combined with 22 years of production experience.Upgraded machines and equipments for the production. ISO9001,Oeko-Tex Standard 100 for the quality policy.Customized quality yarns like cotton,nylon,polyester.Environmental protection,color fastness 4 above,durable. Large scale production and well trained workers reduce cost greatly.Meanwhile,short production time and a comprehensive collection of articles will be greatly enhance our competitive. Fast response on new required,customized sampling then done a deal.Over 100 workers in our 15,000 square meters factory,production more than Millions meters for webbing every month. Urgent orders ready in just two week. 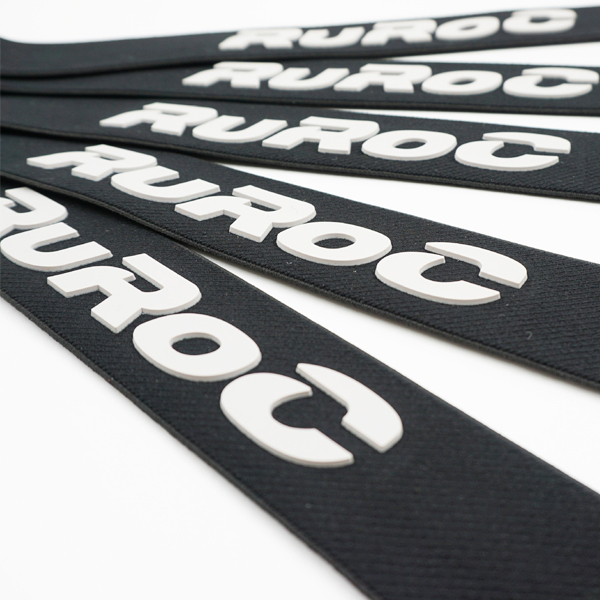 Custom production taken from your own design or from our basic articles.Include jacquard,printing,silicone finished by woven or knitted are available. 100% customer satisfaction and customer repeats over the world.Timely respone for enquiry is base and quality policy will be offered while work with us. 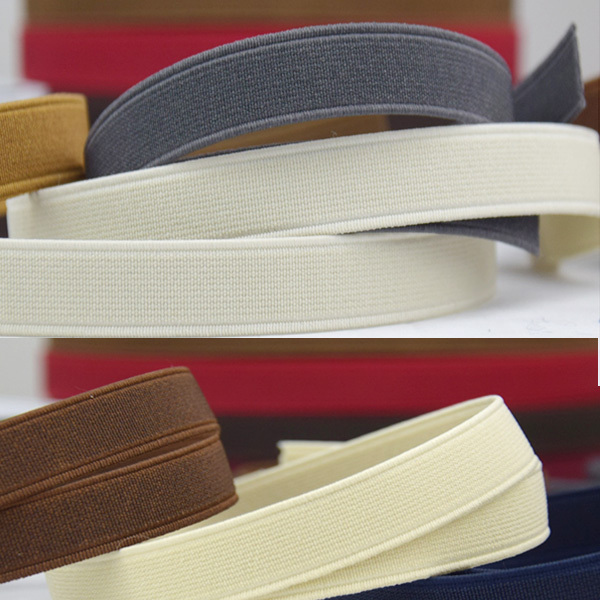 Amanda Textile Co.,Ltd is a famous elastic band, elastic webbing manufacturer, supplier in China, we have been supplying quality elastic band and webbing products for over ten years. 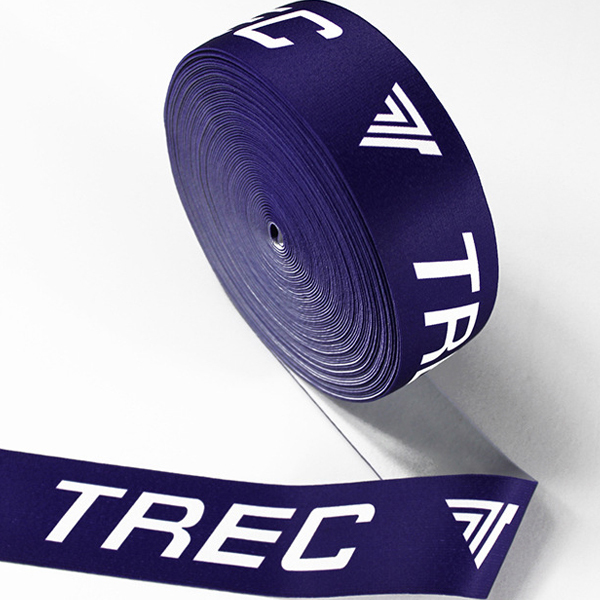 Are you looking for high-quality, attractive and customized elastic webbing band and narrow webbing, band, tape, rope for your products or to identify your clothing? Then you’ve come to the right place. 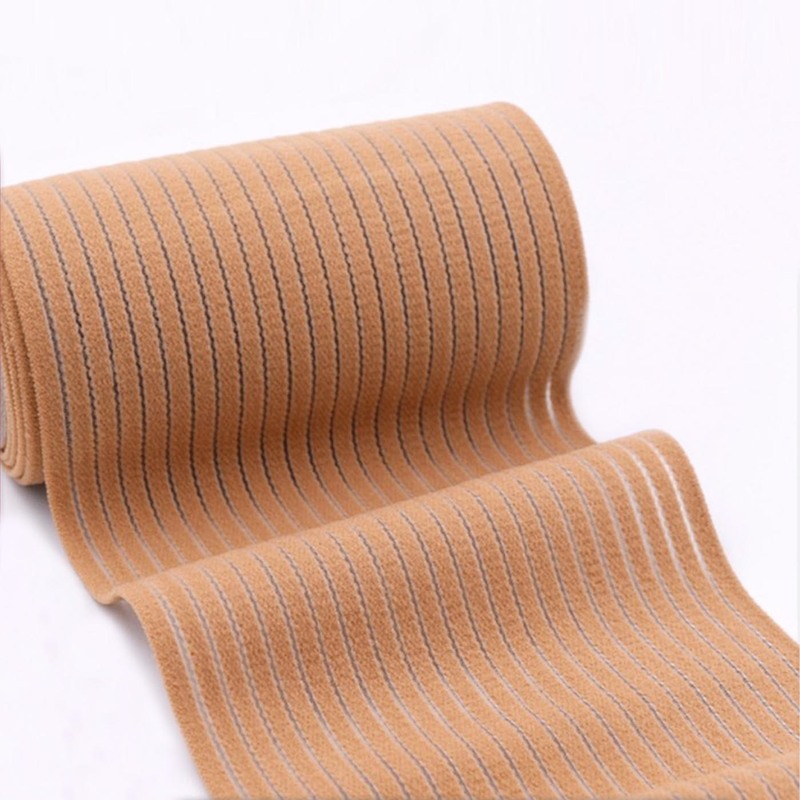 We create woven elastic, jacquard elastic, waistband elastic, orthopedy medical elastic, fold over elastic, glitter elastic, non slip elastic and other narrow webbing tape rope to your specifications using various materials. You will find the elastic what you are searching in bellow . 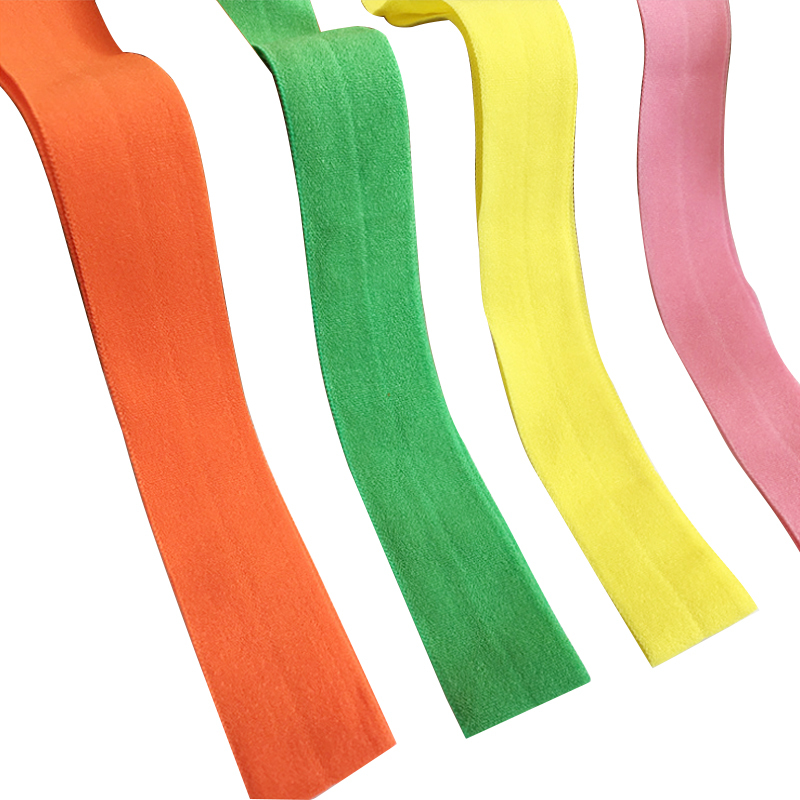 We offer a variety of woven elastic include twill elastic, plain elastic, picot elastic, striped elastic, napping elastic with wide 3/4”, 1”, 1 ¼, 1 ½” and 2” . Woven Elastic webbing, band is used in a variety of different industries including equestrian, medical, uniform and work suspenders, straps, clothing, baggage, outdoor equipment, uniform and fashion belts, medical, sport belt and many more. Amanda Textile Co.,Ltd is a famous elastic band, jacquard elastic manufacturer in China, we have be supplying quality jacaurd elastic with custom designed in special feature of softness, high elasticity, low shrinkage, color fastness, acid and alkali resistance for over ten years. The jacquard elastic is used in a variety underwear, boxer, briefs with custom pattern and competitive price. We’re professional manufacturer that offer breathable elastic, mesh elastic with sizes range from 1 1/2″ to 12″, and pre-cut packaging options, sew processing for final belt and hook-engageable backs are also be offered. The orthopedic elastic is made by nylon/polyester and rubber spandex with high strentch elasticity. It’s wide designed for surgical, orthopedic, sport goods. We manufacturing and supplying knitted elastic, buttonhole elastic, drawstring elastic band, ribbon, tape, webbing. The elastic webbing is used in a variety of different industries including equestrian, medical, uniform and work suspenders, straps, clothing, baggage, outdoor equipment and fashion belts. Contact us today to discuss your project or to receive some samples of our logo and custom elastic work we had to offer best price. Amanda Textile Co., has a wide variety of elastic webbing, which we provide in many different colors, patterns, textures and weaves to meet all of your needs. The fold over elastic made combinded nylon with spandex of excellent quality, which in turn promotes its use in higher end applications. The fold over elastic is manufactured in different widths and widely use for underwear, shirt, short, boxer waistband with strong elasticity. As a professional manufacturer, we have a wide range of non slip elastic, which made on demand according to specific needs. The non slip elastic include rubber elastic and silicone elastic, which both combinded with high quality polyester and rubber from Malaysia and Thailand. It’s special used in those require anti slip garment, like stretch fabric trousers, men’s trunk tops, sports underwear, heavy corsetry, shoes, bags, etc. Amanda Textile Co., has a wide variety of elastic, which made with silver and gold matellic thread in glitter elastic with many different patterns, textures and weaves to meet all of your needs. 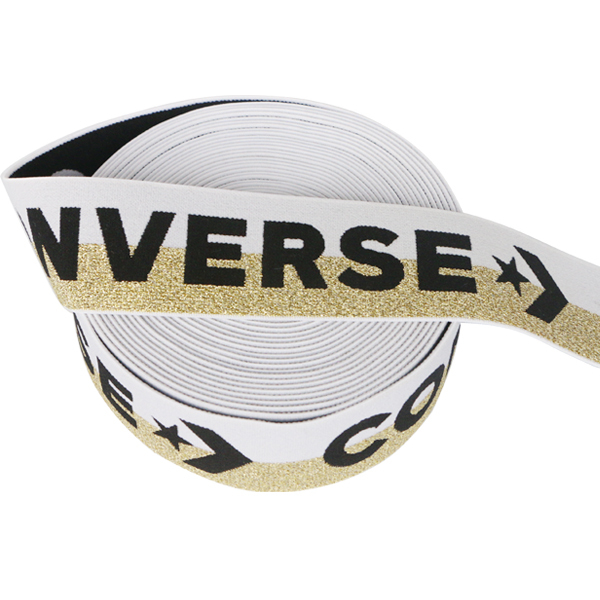 The glitter elastic bring amazing appearance. It made combinded with soft nylon and spandex, comfortable for skin touch. 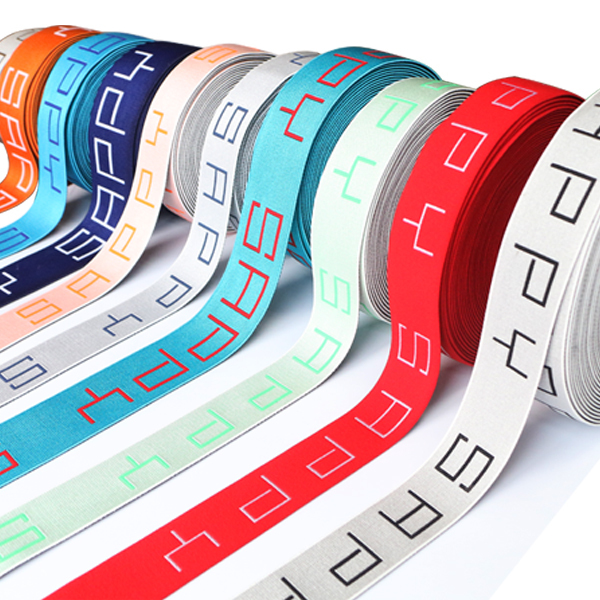 Widely use perfect for belts, waistband and other decoration. If you need to order big quantities, please message me so I can make a custom listing for you. As a professional manufacturer, we have be supplying quality jacquard elastic and printed elastic with custom designed in special feature of softness, high elasticity, low shrinkage, color fastness, acid and alkali resistance for over ten years.The printed elastic is printed through heat transfer technology to make the customized pattern on the elatic, the printed elastic has feature of bright color, smooth, softness and comfortable, it’s the first choice of underwear waistband. A great seller,I have to said thanks.I’m really appreciated your help for my urgently samples,we buy the woven tape for our shoes banding every month.Item as described,fast shipping.Once again,very satished with order.A pleasure to do business with you ! We are SA garment manufacturer,the company has twenty years of operating history.Why I choise Amanda Textile ? We have many suppliers,but we are most satished with Amdtextile,as they response very fast,very ammitted to the customers,all our orders they handling well.Thank you really appreciate work with you ! We are professional webbing wholesaler, which has twenty years of operating history. It is very happy to find AmandaTextile, they give us a very good reputation in our place, and let our customers to enjoy the cheap price and make my business growing fast. Through three years of cooperation, we know Amanda Textile. have deep understanding of woven elastic, the production process conducted a series of quality control, they also have good logistics solutions, let us in front of customers won more honor. I purchased Jacquard Elastic with my logo from Amand Textile so many times, it is very fast production, premium product as usual very good condition, all work great, and I love these jacquard elastic waistband,also they are very professional on export to Australia and they can provide Certificate of Origin Form for China-Australia Free Trade Agreement(FTA) to help us reduce our customs duties .We will certainly purchase again. If you want purchase Woven Elastic and Jacquard Elastic,ask us for price and solutions now ! Simply click bellow button,and get your free,no obligation quotation today! Being in our industry since we set up, we know how to serve our customers. We are a company whose business practices are based on fairness, mutual trust, and cooperation.Up to now,we were grown into a competitive manufacturer capable of providing the high quality elastic nonelastic webbing products.